technology such as a screen reader application that reads the web page to them. In addition, search engines send out spiders and robots to walk the web and catalog pages for their indexes and databases; such programs do not access your images. Some of your visitors may be using a mobile device that may not display your images. 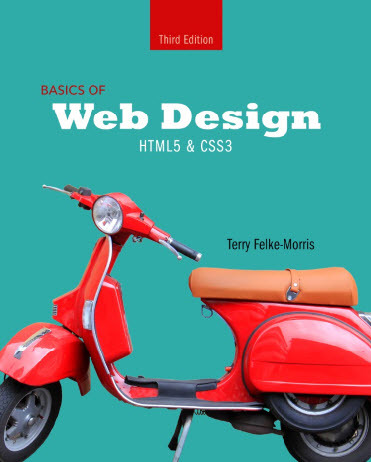 As a web designer, strive to create pages that are enhanced by graphical elements but that are usable without them.Resource websites and chapter links are listed below. Not every computer is guaranteed to have the same font typefaces installed. 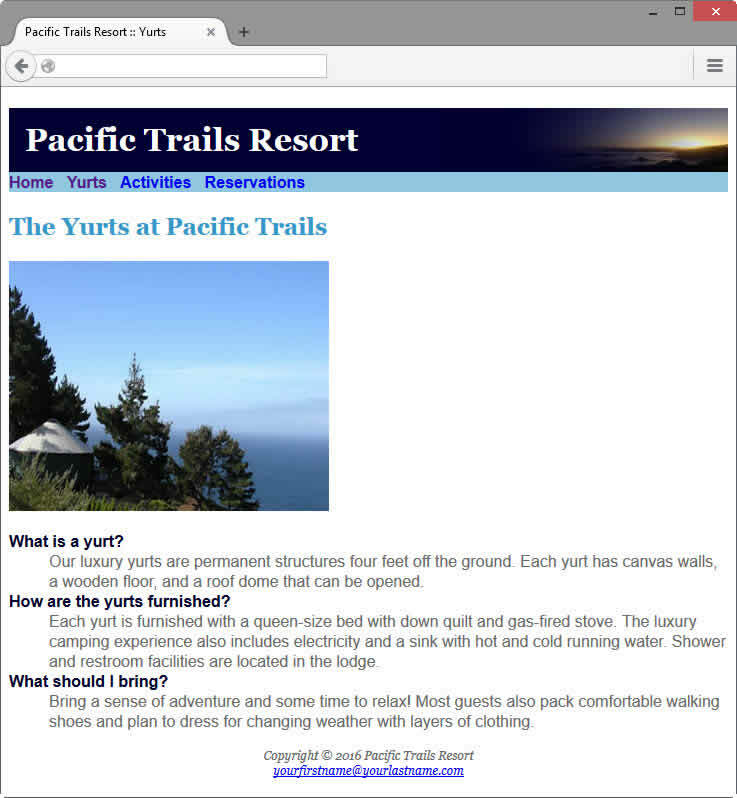 If a web designer configures a font that is not present on the visitor's computer, the browser default (usually a serif font such as Times New Roman) will be displayed. So ... the question is: What fonts are safe to use? Explore comparable Windows and Mac fonts at the Web-Safe Font Chart. Visit TinyType for a list of fonts commonly installed on mobile devices. CSS3 introduces @font-face, which can be used to "embed" fonts within web pages. Current browsers support @font-face but there are logistical (long downloads) and copyright issues. See https://developers.google.com/fonts/docs/getting_started for a overview of using free Google webfonts on your web pages. Check out A Command of Headings: Usage and Styling for a collection of design ideas (with CSS code) for configuring a headings on your web pages. Check out the Text/Typographical Layout article at WebAim for tips on configuring text on web pages. Current browsers support @font-face, but there are file size and copyright issues to consider. It takes time to download a font and this may delay the display of your web page. You also need to check your font license to determine whether you also have the right to freely distribute the font. See http://nimbupani.com/font-in-your-face.html for more information about @font-face. A chart of websites that provide font hosting services is available at http://sprungmarker.de/wp-content/uploads/webfont-services. Visit http://www.fontsquirrel.com to browse a selection of commercial-use free fonts available for download and use. Google offers a free web font library at http://google.com/webfonts. Keep in mind that if you just need a nonstandard font for a logo area or for an image on a web page, there's an easy solution. You are free to use any font that's available to you when you create an image with a graphics application. Google Labs has developed a new image format for the Web called WebP (pronouced "weppy") that improves compression on photographic images. Currently it's supported by Google's Chrome browser. "Launch a text editor and open the starter.html file." In the last paragraph of #3 please note that the names of the images should be home.gif, tours.gif, reservations.gif, and contact.gif. The third sentence should be, "You may notice that the text within the main element is displayed over the background image." Also configure #330000 text color for the h3 element selector. Figure 5.25 is incorrect. The correct Figure 5.25 is available here. Providing access to the Web for all people is an important issue. Visit the W3C’s Web Accessibility Initiative and explore the WCAG 2.0 Quick Reference. 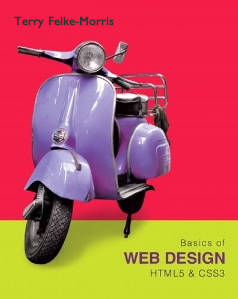 Note the checkpoints that are related to the use of color and images on web pages.